Isla Cozumel! Have you ever been there? It’s a must! Over the past 25 or so years my husband and I have been there many times. What’s the attraction you may ask? It started out as the place my husband would fish the lagoons for bonefish. I love travel adventures so I would go along with him not to fish (that’s not for me), but to explore. In the beginning the condos that we rented were on the mainland, in Play del Carmen and Akumal, then take day trips to Cozumel. 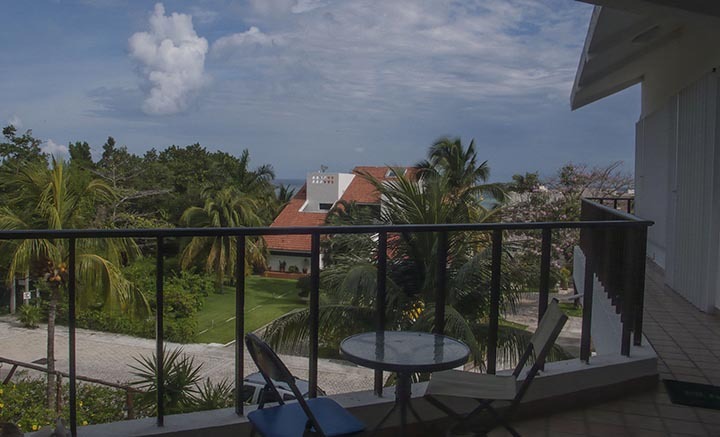 For the past 6 years or so we started renting condos in Cozumel most often in the fall, Sept through October for 3 to 5 weeks at a time. Which is enough time to meet and make friends with some wonderful people there. Last year in search of new adventures and bigger fish we went to the island of Grand Bahama. It was a great trip! 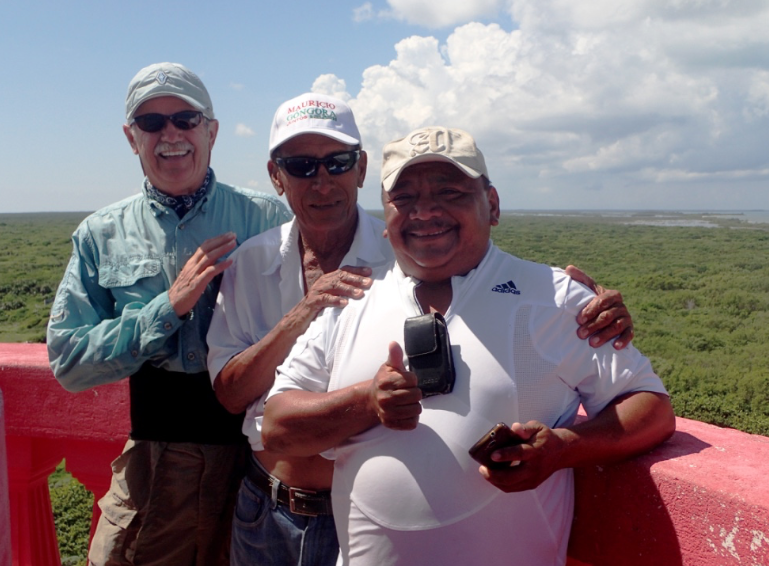 When we returned home my husband received a call from his two Cozumel fishing buddies (aka Tres Amigos the three called themselves) asking if he is well and if we planned to visit. We were touched by that call so we planned a trip. Our travel day was long but went smoothly with flights from Sacramento to LA then to Cancun. Upon arrival at Cancun we caught the bus for an hour plus ride to Playa del Carmen. From there we get on the ferry to Cozumel. This is called the ‘bag drag’ by locals versus flying straight into Cozumel. Most often it’s the least expensive way to get there. New adventures are great but there is something to be said for familiarity. As soon as we got on the ferry it felt like we were going home. It was dark by the time we boarded. With fairly rough seas the rocking of the ferry and the wind and mist in our faces was a pleasant reminder of what life on the island is like. Because of our familiarity we knew exactly where to go for what we needed. We took a super quick taxi ride to the grocery store, the ‘Mega’, to grab groceries for the next day and some dinner at the Rock & Java Noodle Bar. Our adventure for this trip is that we are staying at the north end of the island, a 10 minute drive from downtown where we have always stayed before. In fact it is at the end of the good road. To continue on the road which is almost non-passable would take you to the boat to Passion Island where Dale goes to fish. We woke up to this beautiful view from our condo and just a minute walk to the beach. Right off I notice how quite it is here, only the sounds of the birds or a fishing boat motoring by. It’s a nice change from the hustle and bustle of downtown. Beach front; beautiful sand. The Sargassum weed lines the shore in it’s natural state. Over the next few days we continue to feel the warmth of the people as they welcome us back to our home away from home. Cesar at the scooter rental welcomes us with hugs and stories of goings on, José at our favorite snorkel place welcomes us ‘home’ saying ‘Cozumel is in you’ and gives us a locals discount, another waiter named José after taking our order sits at our table with family style conversation and Tony who owns Burritos Gorditos, always with a smile asking how we are, good to see you. His tip jar shows his great sense of humor and the state of the relationship between México and the US. Oh, and of course there was the Tres Amigos, Dale’s fishing buddies that were so happy to see him and quickly started making fishing plans together. 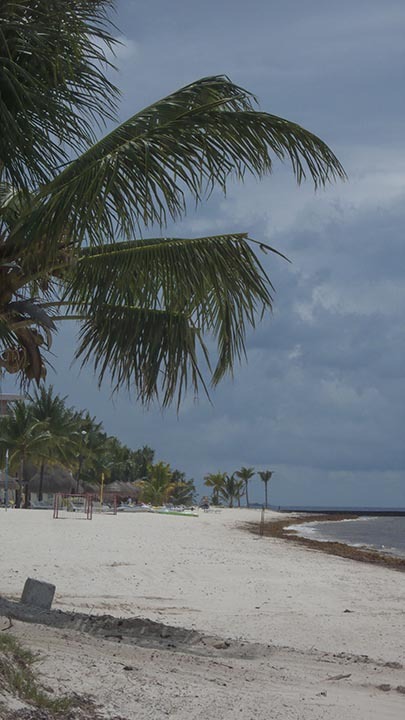 At the end of the week we just looked at each other and said there is something special about Cozumel. Click Here to read all about our second week on Cozumel. I’m glad that you had the same feeling that I had. It is beautiful here. We are so glad to hear from you, it looks so beautiful there. 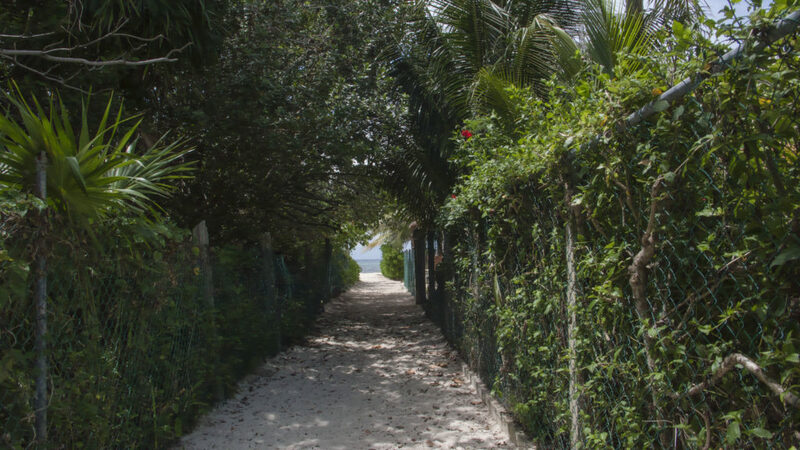 We’re glad you like your location better, that walk to the beach looks amazing. Can’t wait to hear about your scooter adventures. Love the three amigos photo. We will have lot’s of stories to tell for sure. It’s so lovely that we just can’t help it, but to share.